Love Writer’s Voice? Please rate us on your podcast app. It really helps to get the word out about our show. When David Treuer was growing up on the Leech Lake Ojibwe reservation in northern Minnesota, he saw plenty of poverty and dysfunction. But he also saw examples of great strength and resilience, beginning with his own mother. She overcame dire poverty to become an Ojibwe tribal court judge. So, as Treuer grew up to become a writer, he was disturbed at the depictions of Native Americans in literature and culture that emphasized only the tragedy of Native American life without celebrating its triumphs — the greatest triumph being to survive. Now, in the 21st century, after 500 years of oppression, Native America is in the midst of a revival of traditional culture and political engagement. 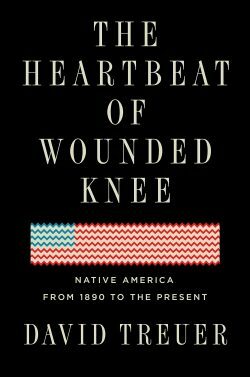 Treuer’s book The Heartbeat of Wounded Knee is a brilliant examination of the post conquest history of Native America through the lens of survival and resilience. He doesn’t shrink from describing the horrors visited on Native Americans by the white man. But he celebrates the indomitable spirit of the tribes and their peoples. Treuer melds history with reportage and memoir. Tracing the tribes’ distinctive cultures from first contact, he explores how the depredations of each era spawned new modes of survival. The Heartbeat of Wounded Knee is the essential, intimate story of a resilient people in a transformative era. David Treuer is the author of numerous books, including novels, essays and memoir. He is a Professor of Literature and teaches in the University of Southern California PhD program in Creative Writing & Literature. The great poet Mary Oliver died on January 17. Her work celebrated the natural world and our human place in it. I was first introduced to her work by my dear friend Meg Krugman (Fisher), who writes pretty good poetry herself. The poem Meg shared with me that long ago day that opened me to Oliver’s wonderful work has ever since been my favorite, Wild Geese.